Pressure to be academically successful not only for you, but for your family. Clinicians at BUCC can offer individual, couples, and group counseling to help decrease distress related to the challenges of university life. Additionally, clinicians can help you navigate the pressures of being a first-generation student and balancing academic, social, emotional, and family responsibilities. For support in dealing with pressures of college life, visit “First in Line” https://www.baylor.edu/firstinline. “First in Line” is a network of staff and faculty who either were first-gen students themselves, or have expressed interest in directly working with first-gen students. This department offers help to students in many different avenues of college life. To find support in navigating academic life, consider getting a peer mentor https://www.baylor.edu/firstinline/index.php?id=928492 or finding an academic mentor https://www.baylor.edu/support_programs/index.php?id=22922. 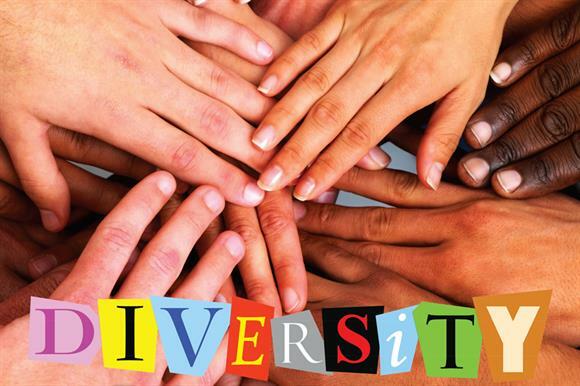 If you are struggling to maintain your cultural identity, Multicultural Affairs can assist in fostering belonging https://www.baylor.edu/multicultural. For added social support, consider joining the First in Line Student Society https://www.baylor.edu/firstinline/index.php?id=928491. Financial concerns can be addressed by the Financial Aid Office https://www.baylor.edu/sfs/ or First in Line https://www.baylor.edu/firstinline/index.php?id=928495. “The Store” is a food pantry on campus for students who do not have reliable access to nutritious foods https://www.baylor.edu/ssi/index.php?id=947350. For support in looking for internships and jobs, including help in writing cover letters and resumes, and preparing for interviews, please visit the Office of Career and Professional Development https://www.baylor.edu/cpd. If you are faced with issues of prejudice, we recommend that you seek support through counseling, or you can report your concern anonymously on “EthicsPoint” at https://www.baylor.edu/gr/index.php?id=871540 or confidentially at “ReportIt” https://www.baylor.edu/reportit/ which includes a link to the Bias Response Team https://www.baylor.edu/diversity/index.php?id=953212. To seek support if you or someone you know has experienced an incident(s) of sexual and gender-based harassment and/or interpersonal violence you can contact the TIX Office https://www.baylor.edu/titleix/ . The clinicians at Baylor University Counseling Center (BUCC) can offer individual, couples, and group counseling to graduate students to help promote success and stability while you are working on a graduate degree. The demands of graduate school can be particularly hard on students with families of their own and significant relationships. BUCC can help guide graduate students in dealing with academic pressures and relationship issues. Beyond counseling, Baylor University has several services that are specific to graduate students. For support in time management with academics, we encourage you to visit the Paul L. Foster Success Center https://www.baylor.edu/support_programs. To encourage success in managing professional relationships, we suggest seeking services through the Office of Career and Professional Development https://www.baylor.edu/cpd. Support for the thesis and dissertation process can be found at the Graduate Writing Center https://www.baylor.edu/graduate/currentstudents/index.php?id=99100. Financial concerns can be addressed with the Office of Academic Scholarships and Financial Aid https://www.baylor.edu/sfs or here https://www.baylor.edu/graduate/currentstudents/index.php?id=98338. To navigate career concerns, seek guidance from the Office of Career and Professional Development https://www.baylor.edu/cpd. To explore career options or obtain resources for career paths https://www.baylor.edu/graduate/currentstudents/index.php?id=925581. For concerns with language abilities, visit the English for Academic Purposes (EAP) Course https://www.baylor.edu/graduate/currentstudents/index.php?id=865332. Workshops on graduate life can be found here https://www.baylor.edu/graduate/currentstudents/index.php?id=98895. Graduate resources for STEM fields can be found here https://www.baylor.edu/graduate/currentstudents/index.php?id=927749. Female graduate students can seek support from Women in the Academy https://www.baylor.edu/graduate/currentstudents/index.php?id=98896. To find ways to increase personal well-being visit here https://www.baylor.edu/graduate/currentstudents/index.php?id=948341. If you are faced with issues of prejudice, we recommend that you seek support through counseling, or you can report your concern anonymously on “EthicsPoint” at https://www.baylor.edu/gr/index.php?id=871540 or confidentially on ReportIt at https://www.baylor.edu/reportit/ which includes a link to the Bias Response Team https://www.baylor.edu/diversity/index.php?id=953212. We recognize that while counseling is a common practice in the U.S. for people with emotional difficulties, individuals in your home country may not have the same views toward counseling. At Baylor University Counseling Center (BUCC), we are respectful of those differences and want to collaborate with you on how to meet your needs and goals best. Our staff are trained in working with students from different cultural backgrounds and work to provide a safe, welcoming, and culturally sensitive environment. Beyond counseling, BUCC encourages you to seek out other services offered by Baylor University that can be helpful to international students. To find support while adjusting to a new culture, visit the Center for Global Engagement https://www.baylor.edu/globalengagement/index.php?id=924982 as well as the PAWS Programs https://www.baylor.edu/globalengagement/index.php?id=925440. Support in adjusting to a new educational system can be found through Academic Coaching https://www.baylor.edu/support_programs/index.php?id=22923. Support for relationship navigation can be addressed with a counselor or through Let’s Talk https://www.baylor.edu/counseling_center/index.php?id=937128. Immigration and visa concerns can be addressed by International Student and Scholar Services https://www.baylor.edu/globalengagement/index.php?id=925431 and more information can be found here https://www.baylor.edu/globalengagement/doc.php/249121.pdf. If you are faced with issues of prejudice, we recommend that you seek support through the Office of Global Engagement, https://www.baylor.edu/globalengagement/ or counseling or through the Department of Multicultural Affairs https://www.baylor.edu/multicultural or you can report your concern anonymously at “EthicsPoint” https://www.baylor.edu/reportit or confidentially at “ReportIt” https://www.baylor.edu/reportit/ which contains a link to the Bias Response Team https://www.baylor.edu/diversity/index.php?id=953212. If you feel isolated, we encourage you to get involved with multicultural student organizations https://www.baylor.edu/multicultural/index.php?id=924780 or through student resources offered by Multicultural Affairs https://www.baylor.edu/multicultural/index.php?id=43363. Struggling with issues around your identity in isolation often intensifies psychological distress. On the other hand, being cared for, connected and supported by others is the top protective factor for sexual minority students’ mental health. To this end, BUCC offers a group program for students navigating issues around sexual identities. It seeks to provide a caring and supportive community where students can journey together as they explore their sexual identities as it relates to their mental wellbeing. Discrimination in any form has no place in Baylor’s caring community. If you are faced with issues of prejudice, we recommend that you seek support through counseling or you can report your concern anonymously on “EthicsPoint” at https://www.baylor.edu/gr/index.php?id=871540 or confidentially at “ReportIt” https://www.baylor.edu/reportit/ which includes a link to the Bias Response Team https://www.baylor.edu/diversity/index.php?id=953212..
Clinicians at the Baylor University Counseling Center (BUCC) are committed to providing culturally sensitive and confidential services to students who identify as sexual or gender minorities. BUCC seeks to be a place where everyone is treated with respect, justice, grace and understanding as we strive to provide clinical services to all Baylor students within our caring Christian community. We recognize the complexity of current issues around sexual and gender identity and desire to engage these conversations with courage, humility, convicted civility, and compassion. Clinicians at Baylor University Counseling Center (BUCC) welcomes students of all racial and ethnic backgrounds. Our staff is committed to our own on-going growth and development to improve our ability to integrate culturally bound values and practices into the clinical work that we do. We invite you to consult with us on any of the above stated issues or other concerns you may be currently experiencing. Beyond counseling, BUCC encourages you to seek the support of resources on campus that can be helpful to students of color. To find support as a student of color at Baylor, visit the Office of Multicultural Affairs https://www.baylor.edu/multicultural. To join a multicultural organization visit here https://www.baylor.edu/multicultural/index.php?id=38017. Other resources for students of color can be found through Multicultural Affairs https://www.baylor.edu/multicultural/index.php?id=43363. Women and men of color can gather together to experience encouragement and connectedness https://www.baylor.edu/diversity/index.php?id=935690. It is important that students with disabilities at Baylor receive support from on-campus resources. These resources can aid in achieving personal and academic goals and Baylor University Counseling Center (BUCC) is a part of that support system. Our clinicians offer a safe and welcoming environment for students with disabilities to share their experiences, or talk about concerns including emotions, relationships, and academics. BUCC recognizes that disability influences a student’s life but does not define them. The Office of Access and Learning Accommodation (OALA) https://www.baylor.edu/oala/index.php?id=26126 is the best first point of contact for students at Baylor with a disability or disability-related concern. Disabilities can include physical, mental, cognitive, and emotional challenges that affect one or more daily tasks in the life of a student. Some examples include visual or auditory impairments, physical limitations, cognitive-processing difficulties, learning disabilities, or psychological disabilities. If you are faced with issues of prejudice, we recommend that you seek support through OALA or counseling, or you can report your concern anonymously on “EthicsPoint” at https://www.baylor.edu/gr/index.php?id=871540 or confidentially at “ReportIt” https://www.baylor.edu/reportit/ which includes a link to the Bias Response Team https://www.baylor.edu/diversity/index.php?id=953212.. The staff at Baylor University Counseling Center (BUCC) recognize that transitioning to a new place can be overwhelming. Oftentimes, so many changes at once can lead to stress, depression, or feelings of fear. We support transfer students by helping them cope with thoughts, feelings, and behaviors related to your adjustment to Baylor. In addition, the Office of Transfer Student Success https://www.baylor.edu/transfersuccess/index.php?id=927808 offers multiple resources and avenues of support specific to transfer students. This office can help you address “transfer shock,” help you become more socially involved on campus, and offer specific housing support. If you are faced with issues of prejudice, we recommend that you seek support through the Office of Transfer Student Success or through counseling, or you can report your concern anonymously on “EthicsPoint” at https://www.baylor.edu/gr/index.php?id=871540 or confidentially at “ReportIt” https://www.baylor.edu/reportit/ which includes a link to the Bias Response Team https://www.baylor.edu/diversity/index.php?id=953212. Clinicians at Baylor University Counseling Center BUCC promote the personal wellbeing and the academic success of student veterans by providing counseling services. BUCC provides a confidential environment where veterans can openly examine and discuss concerns. Some of the services we provide include individual, couples, and group therapy, Let’s Talk informal consultation, and on-campus and community referrals. In addition, Veteran Educational and Transition Services (VETS) offers programs to maximize your success, tools and resources specific to veteran students, support from other veteran students, financial and academic support https://www.baylor.edu/vets/index.php?id=867959. If you are faced with issues of prejudice, we recommend that you seek support through VETS or through counseling; or you can report your concern anonymously on “EthicsPoint” at https://www.baylor.edu/gr/index.php?id=871540 or confidentially at “ReportIt” https://www.baylor.edu/reportit/ which includes a link to the Bias Response Team https://www.baylor.edu/diversity/index.php?id=953212.